What Is the Connection between Hemoglobin and Hematocrit? Individuals with low hemoglobin levels may be unable to donate blood. 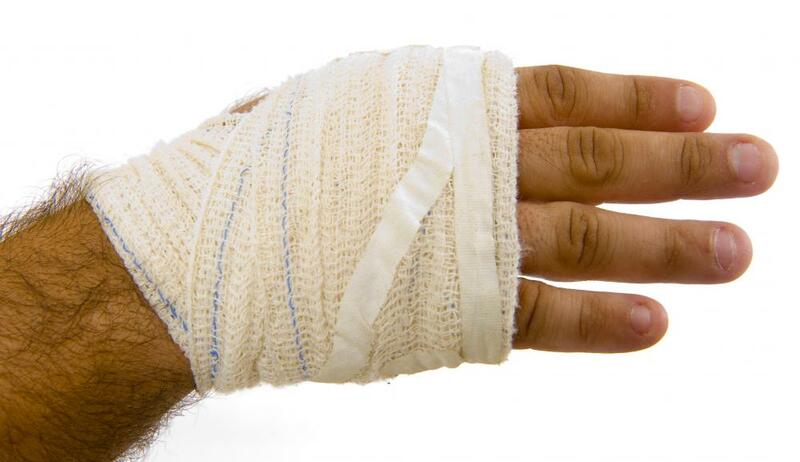 Lack of hemoglobin can cause slow wound healing. A complete blood count tests for both hemoglobin and hematocrit. Dehydrated patients may have an unusually high hematocrit level because there are more red blood cells as a total percentage of blood volume. 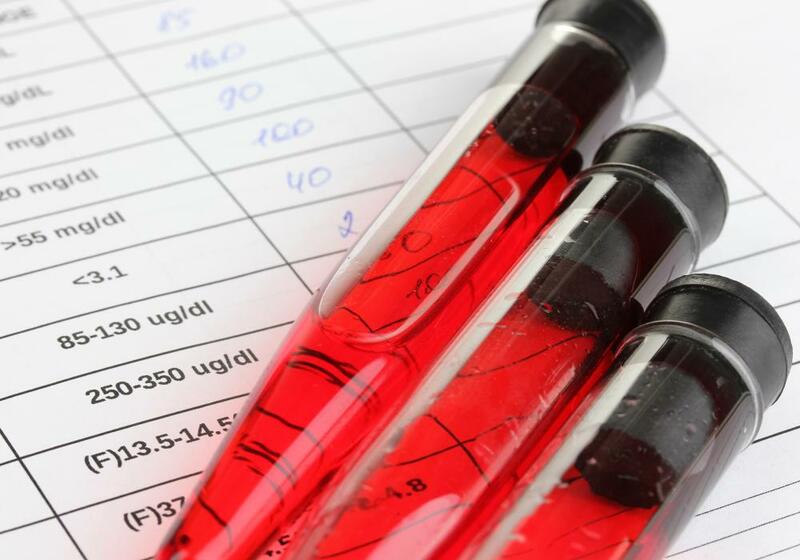 Doctors request hemoglobin and hematocrit together along with other measurements of blood chemistry to get a complete picture of a patient's general level of health. 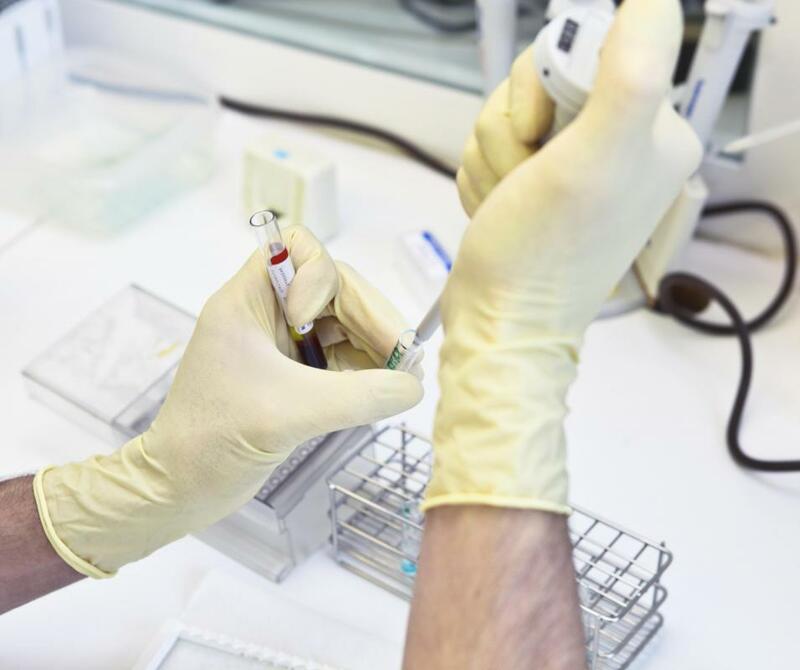 Hemoglobin and hematocrit are two important components of the complete blood count, a test that a doctor might order to determine whether there are any abnormalities in a patient's blood chemistry. Both "hemoglobin" and "hematocrit" refer to specific characteristics of red blood cells, but they measure different things. Hemoglobin is an oxygen-binding compound that transports oxygen to the cells, and the hemoglobin test measures how much of this compound is present. The hematocrit test determines how much of the total blood volume contains red blood cells. Doctors request hemoglobin and hematocrit together along with other measurements of blood chemistry to get a complete picture of a patient's blood chemistry and general level of health. Some things can skew the measures. A severely dehydrated or fluid-loaded patient will have abnormal blood volume as a result of variations in the level of blood plasma, for instance. Dehydrated patients might have an unusually high hematocrit level because there are more red blood cells as a total percentage of blood volume. Normal hemoglobin levels for women range from 12-16 grams per decaliter, and men have slightly higher values, 14-18. If the levels are low, it can indicate that a patient has anemia. Lack of hemoglobin means that the patient's body will not get enough oxygen. This can lead to the development of fatigue and other issues, including organ failure, slow wound healing and secondary complications. Patients can also have too much hemoglobin, as seen in conditions such as polycythemia vera. Red blood cells are basically vessels for hemoglobin, so there is a very direct relationship between hemoglobin and hematocrit. Patients who have low levels of red blood cells might have low hemoglobin levels because their bodies don't have enough red blood cells to meet their needs. Likewise, high levels can lead to an excess of this compound. 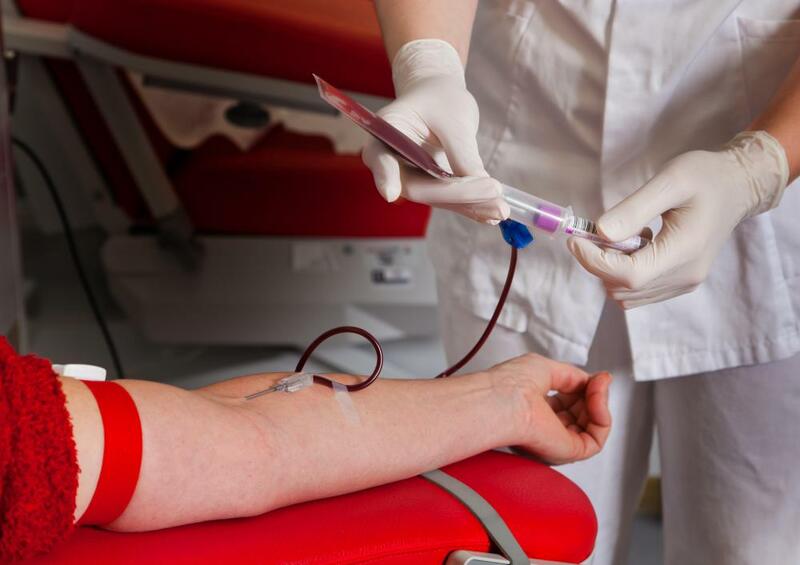 Patients who are in need of transfusion to replace lost blood or compensate for low blood cell production might receive a hemoglobin and hematocrit test to determine their baseline levels and to see how well they respond to transfusion. 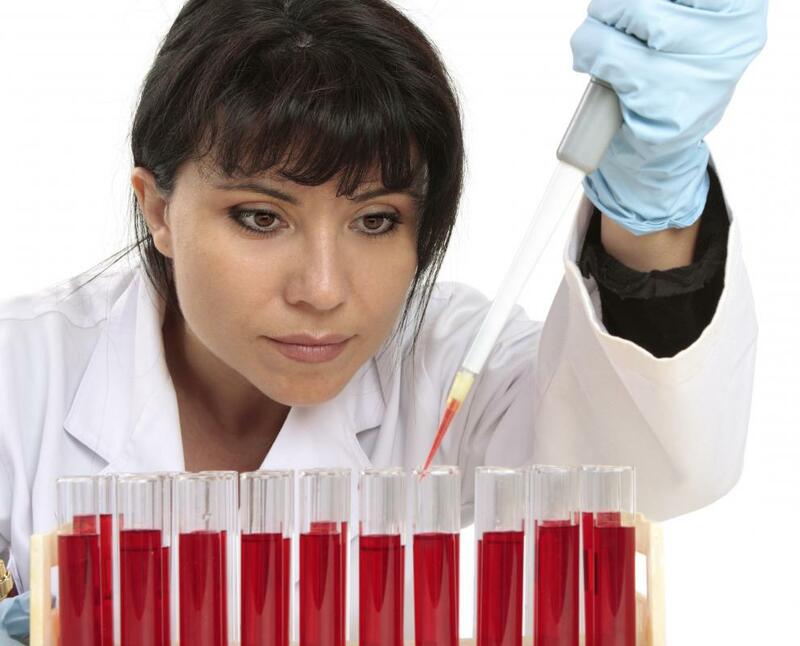 Hematocrit values can range from 40-54 percent in men and 36-48 percent in women. With a hemoglobin and hematocrit test, the doctor will want to know whether the patient is on any medications or has ingested unusually high or low levels of fluid. If the values appear to be abnormal, these might be considered as factors before exploring possible diseases that might cause a high or low concentration of red blood cells. What Is the Connection between Anemia and Hematocrit Levels? What Are the Effects of Decreased Hematocrit Levels? What Are the Effects of Elevated Hematocrit Levels? What Are Considered Normal Hematocrit Levels? What is an EDTA Anticoagulant? I was giving plasma the other day, which is an activity that would raise your hematocrit levels, since they take out the liquid that the cells are in and return the cells afterwards. I asked if it was basically the same as doping. I know they have to test athletes to make sure they have normal hemoglobin and hematocrit levels since one way to increase performance is to put your own blood back into your body so that you will get higher oxygen levels. But, the nurse explained that since it was still a normal level of hemoglobin (because it was still the same number of cells I started with, just less liquid) it wouldn't make any difference. @Mor - Well, that might have been the case when they used to measure hemocrit levels by actually counting how many red blood cells there were in a certain area and averaging it for the whole. But these days they do it by "packing" the red blood cells into a tube and comparing. So, in the first case, they would have figured out that the person had sickle cell just because they would have seen the cells. And in the modern method they would quickly figure out there was something wrong because the hemocrit levels would appear to be low (since the total volume of cells would be low). I'll bet that there's one time where the two values don't match properly and that's when a person has sickle cell anemia. I've always been worried that I have this myself, so I have learned a little bit about it. If you have it, your red blood cells don't form properly. So, you'd probably get a normal reading of hematocrit, since you still have the same amount of cells, but you'd get a low reading of hemoglobin, since your cells are smaller than usual. , then you can get sick quite easily and will find it quite difficult to be athletic. There have been cases of people who ran too hard with this blood disease, and ended up dying, basically from not getting enough oxygen through their system.